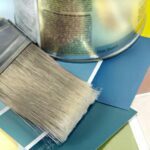 Expert advice on buying quality house paints, including how to choose paints, latex vs. oil, paint quality indicators, and estimating amounts. Whether you do it yourself or hire a pro, painting involves a serious commitment of time, money, and effort. You want to get it right the first time so you won’t be back on ladders in a couple of years. One of the most important decisions you’ll face is to choose and buy quality paint. Top quality paint will help ensure that your new paint job will look good and last a long time. 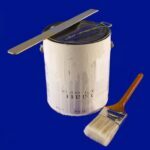 This article will help you buy quality paint. Choosing the right paint for your home is critical, both in terms of appearance and durability. 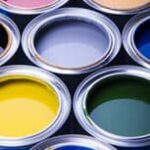 When choosing house paint, often the most perplexing question for homeowners is whether to choose latex or oil/alkyd paint. This confusion is rooted in history. For years, painters chose solvent-based (oil and alkyd) paints for woodwork, trim, and some interior and most exterior surfaces because solvent-based paints flow uniformly, have excellent leveling characteristics, adhere well to poorly prepared surfaces and provide a tough, hard-shell finish. In addition, exterior alkyds work well in sub-freezing climates. But now, both state and federal air-quality laws have clamped down on the use of solvents in oil/alkyd paints. Unfortunately, a gallon of solvent-based paint contains about 2 quarts of mineral spirits. 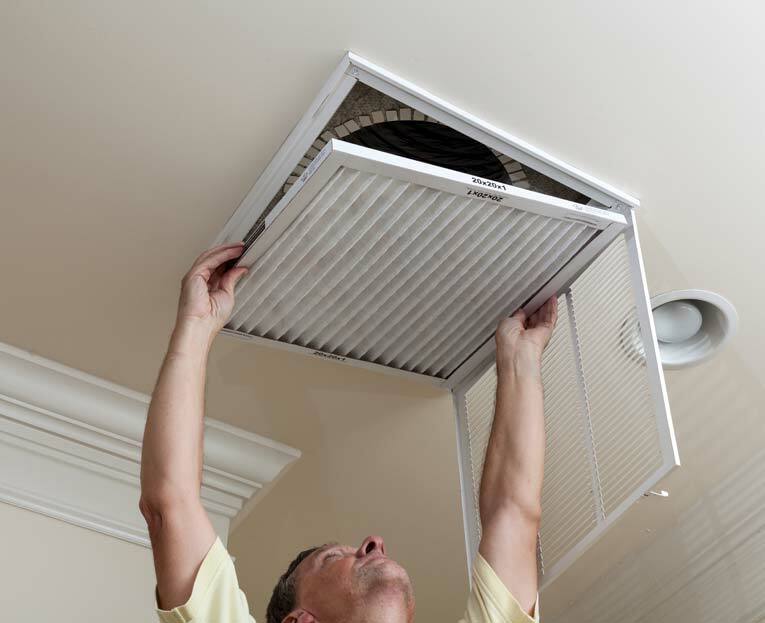 These solvents evaporate into the air as volatile organic compounds (VOCs), causing pollution. Today’s guidelines significantly affect the makeup of solvent-based paints. Generally speaking, solvent paints that comply with these guidelines don’t have any advantages over water-based paints. In fact, they dry slower, are more difficult to apply, and cost more. 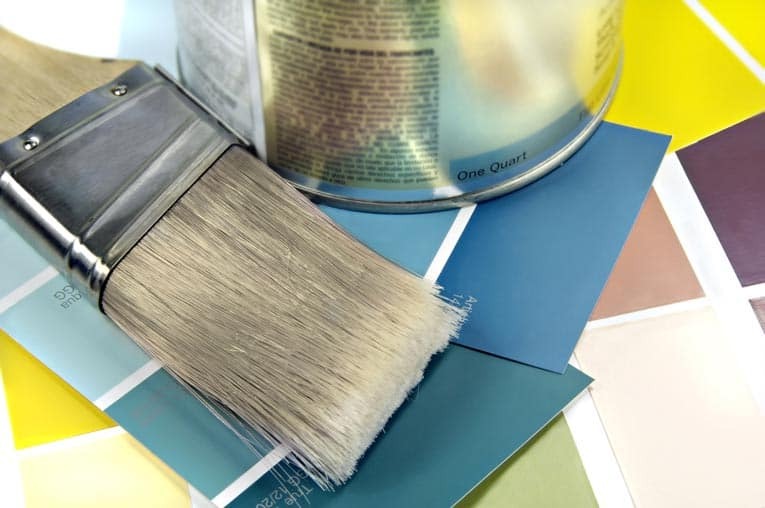 Although water-based paints contain various levels of the regulated solvents (in an “alkyd-modified” latex, as much as 1 pint of solvent per gallon), solvent levels in all water-based paints fall far under the limits. These new regulations are good news for most people and the environment. The environmental constraints have forced better technology than ever before, and the new water-based finishes are more varied and outstanding than even five years ago. A good-quality acrylic latex has far better gloss retention and fade resistance than an alkyd. Pale shades perform well on aluminum siding or vinyl siding (darker colors absorb heat more, and heat may distort the siding). The only place really left for alkyds is trim, the front door, and maybe the windows. If there’s an older coating of oil/alkyd paint and the finish is flaking or poorly prepared, it may be smart to seek out an oil/alkyd paint that complies with regulations. Bottom line: Latex paint may become your only choice when looking to buy quality paint. Latex paints differ significantly. Although the first latex paints were named after their synthetic “latex” rubber base, synthetic rubber isn’t used anymore. Now the term “latex” encompasses all water-borne paint. But within that category, you have choices, notably vinyl-acrylic, 100% acrylic, and alkyd-modified latex. Vinyl-acrylic latex costs the least and does a fair job for most interior walls. High-performance interior paints have 100% acrylic formulas. This means better color retention, better adhesion, and, in the case of the enamels, better gloss than vinyl-acrylics. 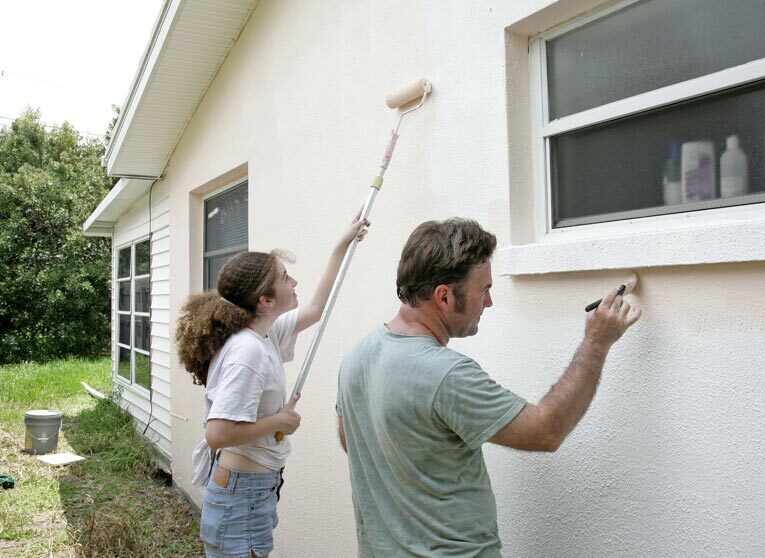 High-quality exterior paints have either 100% acrylic or alkyd-modified latex formulas. Both offer excellent results. If the siding was previously painted with an alkyd or is chalking, consider using an alkyd-modified latex, which does a better job of penetrating and anchoring the coating on a chalky surface. Manufacturers sell alkyd paints in enamel and what is most commonly referred to as house paint. Enamel, available in a wide variety of colors that are ready to mix, may be used on any kind of surface but is especially suitable for highly trafficked areas that require a hard, nonporous finish, such as doors and trim. House paint is more versatile than enamel but also more problematic. Its VOC content makes it a better candidate for exterior painting, though several states have banned it because of air-quality regulations. In states where it is available, it generally only comes in quart cans, meaning it is an expensive choice for siding. Alkyd paint performs better than latex paint for surfaces that are glossy or to which latex has trouble adhering. In addition, alkyds dry at a slower rate than latex, allowing brush and roller marks time to smooth out. However, this also means that paint applied too thickly will sag. Paint consists primarily of a mixture of pigment, resin, and a carrier. Titanium dioxide is the main, white pigment. The dealer adds relatively small amounts of other pigments to tint the color. Resin makes paint adhere to a surface. A carrier is the evaporative liquid added to thin the mixture so you can brush or roll it on—water for latex paints or a solvent such as linseed or soybean oil for oil/alkyd paints. Paint also contains clay or other inert ingredients to adjust the paint’s sheen. And it may contain small amounts of secondary solvents that help with gloss, drying characteristics, and the like. 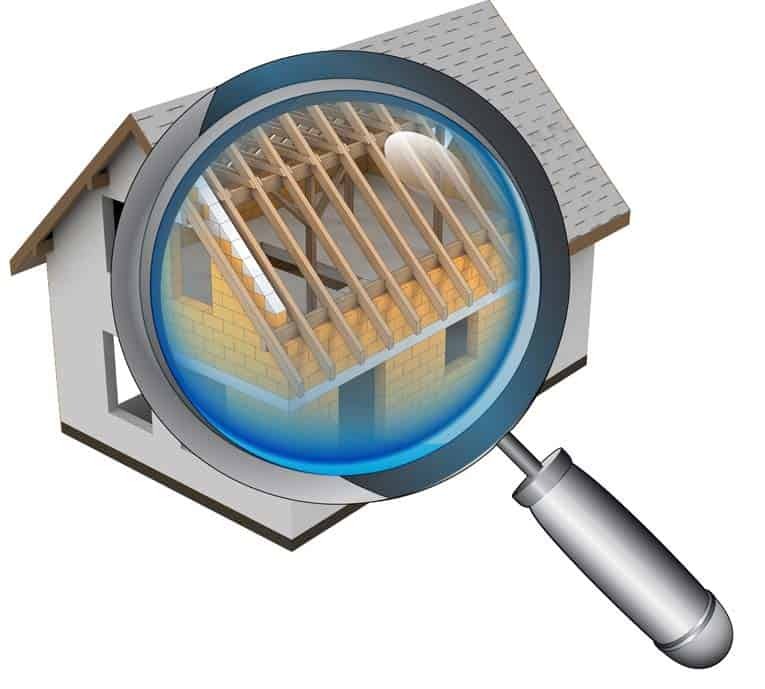 The amount and quality of each ingredient determine a paint’s performance and price. For example, paint with plenty of titanium dioxide has strong hiding characteristics and so, because this is the most expensive ingredient, costs more. 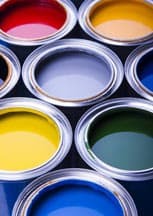 Oil/alkyd paints that utilize odorless mineral spirits as a carrier are more expensive than those with regular solvents. With this in mind, price is a good indicator of quality. When you buy paint, go with reputable brands. There are significant differences between cheap and quality paints, particularly in characteristics such as hiding and washability. You’re also more likely to find a more extensive color palette in the quality lines. And don’t forget to check the warranty on the label—this is a benchmark that normally gives you a fair idea of the differences in quality levels of various paints. Paint may have any of several lusters. From dull to shiny, they are: flat, eggshell, pearl, satin, semi-gloss, and gloss (in Canada, satin falls between flat and eggshell). Each paint manufacturer has slight variations in the level of sheen in each category. A paint’s luster depends on its mixture of pigment, resin, and inert ingredients. Paint with less pigment and more resin is glossier than the reverse. Enamel is a term that usually denotes an extra-smooth, hard surface coating-the result of using plenty of resin in the formula. The glossier a finish, the more durable and washable it tends to be. Flat paint is great at hiding irregularities and surface imperfections. Pearl and eggshell are a compromise; they partially hide imperfections and are more washable than flat. For painting interiors, the best choices are often flat for ceilings, eggshell for walls, and semi-gloss or gloss for doors and trim. Exteriors typically call for flat or satin and semi-gloss on trim. Satin tends to be not too shiny and easier to clean than flat. Highly durable gloss enamels used to be available only as oil/alkyd-based products but now come in a very high-gloss, water-based finish that almost looks sprayed on. These finishes offer excellent hiding, don’t yellow or become brittle, and cover in one coat. Another distinguishing characteristic of good paint is coverage, sometimes called “hiding.” When a label reads “one-coat hiding,” read the fine print to make sure that one coat, when properly applied, without any exceptions, is guaranteed. A paint that can cover in one coat, even at a premium price, is well worth the additional cost because of the labor saved-which is typically 90% of the cost of a quality paint job. When you are talking about the exterior of a house, not just a room, this labor savings can be huge. The determining factor for good hiding is the level of titanium dioxide in the mixture-the more it contains, the better the hiding. Some flat paints use cheap fillers to achieve good hiding; unfortunately, the rest of their characteristics, such as scrubbability, fall short. Interior paints have a scrubbability rating, established through standardized testing. This is a good indication of a paint film’s toughness and ability to withstand physical abuse. Though this rating may not be posted on the can, a paint retailer should have information on the rating. By comparing these, you can get a good idea of a paint’s quality. One problem with using a flat paint on interior walls is that though the wall will be able to be washed, it won’t take kindly to scrubbing. If you scrub it with a damp cloth, you’ll remove the dirt or smudge, but exposed pigment particles become burnished or polished, which ruins the finish. To avoid this, it’s better to choose a high-performance eggshell paint. Some new, high-performance finishes are amazingly easy to clean-you just sponge them off as if you were wiping off a countertop. Ketchup, food, scuff marks, mud-all of these just wipe clean. To finish wood that is bare or stained, especially if you want the grain to stand out, choose polyurethane, varnish, shellac, or a transparent, water-based coating. Each finish comes in a range of flat to gloss. The most durable of the finishes, polyurethane is the choice for cabinets, doors, paneling, and other highly used or trafficked surfaces. Because varnish is not as durable as polyurethane, consult with your paint dealer for which type will be best for your project. Varnish is thinned and cleaned up with paint thinner. Available in orange or white, shellac is not recommended for surfaces that may become exposed to water because the finish may become spotted. Brush marks visible during application disappear when the finish is dry. 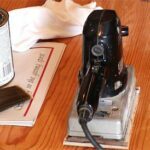 Use denatured alcohol to thin and clean up shellac. Choose a non-yellowing transparent coating to protect a range of different surfaces, including paint. How much paint do you need? Read the paint can label to determine spread rate. To calculate square footage, multiply the width by the height of each wall and then add the figures together. Next, calculate the area of all surfaces that will not be painted, such as windows, fireplaces, and the like. Again, multiply width times height and add the figures together. Then, subtract this number from the first number. Finally, add 10% so you will have some paint left over for touch-ups or repairs in the future. To calculate how many cans of paint you will need, divide your final number by the spread rate of the paint. To calculate the amount of paint for the trim, figure it at about one-quarter the amount of wall paint.